After having read the book Ambiente di ascolto - Teoria e pratica, published by Demidoff/Acustica Applicata, I felt obliged to call Italo Adami to congratulate with him on the quality of the text and let him know my impressions. There was no better opportunity to ask to review a pair of Avalon Mixing Monitor loudspeakers, manufactured in the USA by Avalon Professional Systems, the branch of Avalon Acoustics in charge of the professional sector and distributed in Italy by Acustica Applicata. A kind of know-how exchange, since Avalon Professional distributes on the US market the - by now famous - Daad correctors for environmental acoustics, manufactured by the Italian company Acustica Applicata. After the pleasant conversation with Italo, clearly interested in my proposal, I have to admit that I felt in doubt, given the fact that the Avalon Mixing Monitor are loudspeakers to be used (and sold) as monitors for recording studios. But history teaches us, and the success that speakers like the LS 3/5A have with audiophiles shows, that it is wrong to have prejudices against so-called "professional" equipment. The Avalon Mixing Monitors are two-way bookshelf loudspeakers, therefore they need to be placed on a pair of speakers stands. Given their weight and dimensions, the stand should preferably be quite stable and not very high (I would say 50cm maximum). The cabinet, apart from being heavy, is very rigid and it has the reflex port on the bottom. 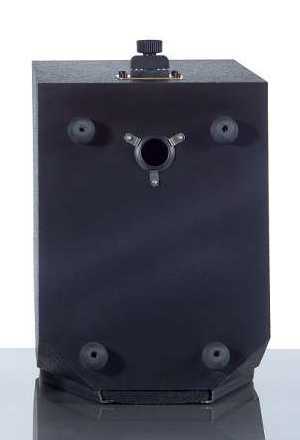 In order to keep the correct distance between the port and the support base, there are four rubber supports screwed at its base. If needed, in order to ensure a better coupling between the loudspeaker and the base itself, spikes (included) can replace these supports. A very interesting feature of the Mixing Monitor is that the loudspeakers are delivered with a tuning frequency set to 36Hz, which can be modified according to the needs of the user. By means of a simple external operation, it is possible to swap the tuning port with the two other tuning ports included. The tuning frequency can therefore be changed to 42Hz ("the accuracy of the transients will decrease and the tonal balance will become warmer because of more "weight" at the frequency range (100-300 Hz) of the warm region ") or to 32Hz ("the transients will become more accurate than the standard setting, the warm region will decrease giving the feeling of a better clarity of the medium range"). Despite a very functional cabinet, as it is always the case with Avalon products, the finish level is quite straightforward, with a simple black half-gloss paint and a felt-covered frame of the same shape as the front panel. The frame has to be kept in place during listening, in order to ensure the best musical performance. Dimensions and weight: Height 46cm (18.1in), Width 22cm(8.7in), Depth 27cm(10.6in), weight 14Kg each. The loudspeakers I received from the Italian distributor were already broken-in, therefore I could directly begin with the listening. They were placed on a robust pair of stands using their rubber feet, and the first thing I could notice was that the low range, unexpectedly deep (the 35Hz could be heard quite easily), was well controlled with very few interactions with the listening room (at least the one used for the test). The sound was warm and accurate, with good tonal uniformity and a transparence and care for dynamic micro-contrasts which never became pitiless (to be honest I was expecting this feature). About macro-dynamics, I felt they were a bit lazy at low listening volumes and more convincing and violent at louder levels. After a quick glance at the amplification available I decided to replace the outstanding integrated Vincent SV-238 for the more engaging AM Audio A1 + A-200 Reference monoblocks (review in Italian). The Avalon Mixing Monitor do not make mystery of their appreciation for quality (and price) and definitely began to sound faster and more dynamic, even at low volume, with a remarkable improvement on every aspect of a performance, which was already good. The feeling of a slightly dark sound remained with respect to my needs, but it was still very enjoyable. They gave a virtual image of a very good level, quite airy and with good dimensions. But it was still missing something to be optimal. At this point I decided to use the other tuning ports included by Avalon in order to optimize the speakers for the listening room. I flipped the loudspeakers to remove the tuning port. I was expecting to find the one of intermediate length (the standard configuration) while the one I've been using so far was the shortest one (tuning frequency of 42Hz). I decided to go the opposite extreme installing the longest one (tuning at 32Hz). In my room and with the electronics in use, the listening differences were substantial. The transparency increased at every frequency of the range, the sound became a little bit colder but definitely more transparent, accurate and expressive, finally doing justice to the voice of Fabrizio De Andrè in his wonderful "Anime Salve". 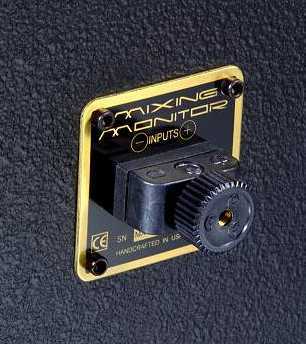 The image was raised and increased its breadth, reaching the outstanding levels the Mixing Monitor are able to provide. It's a very satisfying sound of an outstanding quality which makes you forgive the slightly lacking lowest range (they are still bookshelf speakers), that is a characteristics of very few instruments and available in very few recordings. This is in fact the only limit for a sense of realism unsurpassable for products of this kind. One more try with the standard tuning port (36Hz), confirmed that in the configuration I was using, with rubber feet at the base (the use of conical spikes might lead to quite different results), the 32Hz tuning was the optimal solution. 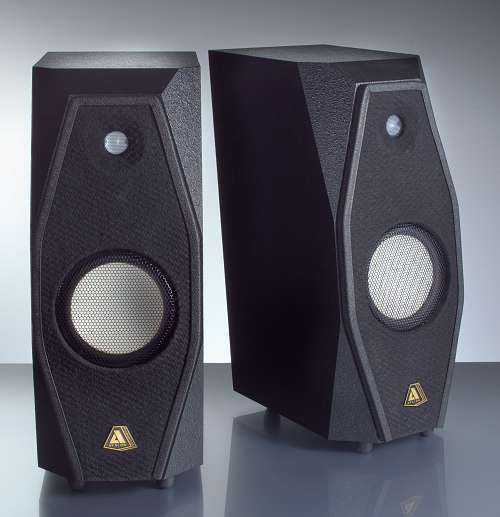 These Avalon speakers do what they are supposed to do (and what they can) in an outstanding way, and I have no doubts that, apart from being well able to satisfy the needs of any audiophile, if they are used correctly by a sound engineer in a studio, can contribute considerably to the good end result of a recording. I believe that the only reasonable complaint is the level of finish of this product, undoubtedly "professional", therefore not keen to satisfy the view of the user with an exhibition of wood-working arts. The recent products in this field made us used to it (even if sometimes, despite the visual quality, the listening results are not as good :-), and it is rare to find a very good product with such a simple level of finish. The fixing of the felt front panel might be improved. As I said already, I would suggest using heavy stable supports. As for cables, take into account that biwiring/biamping is not possible with the Mixing Monitor. Even for the top speakers in its range, Avalon does not provide double binding posts anymore since they claim that the internal technical solution used ensures the same final results as external biwiring, saving the user a pair of cables. However, transparence is a must and among the cables of my "collection", I ended up using the White Gold Reference Sublimis (interconnects and speaker cables). The amplification MUST BE energetic and resolute. As a matter of fact, these Avalons, even if they are not a critical load, are able to digest watts very easily (despite being a bookshelf model). That's why it is a good idea to provide them with _good_ power. The front panel has to stay in place during the listening sessions. A product coming from the professional sector able to give remarkable satisfaction in domestic use, characterized by the very interesting and useful possibility to optimize their characteristics as a function of their amplification partners, the listening room and personal taste. Precise and analytical, while remaining extremely musical, the Avalon Mixing Monitors are ambitious products particularly suitable for those demanding audiophiles more concerned with content rather than looks. They are a perfect choice whenever the dimensions of the listening room are not enough to allow bigger speakers, but one does not want to renounce high quality level of reproduction from the audio system.